Casey Crescenzo has spent the last six years of The Dear Hunter’s existence hiding behind concepts: from the half-finished Act series to the recent Color Spectrum EP collection. 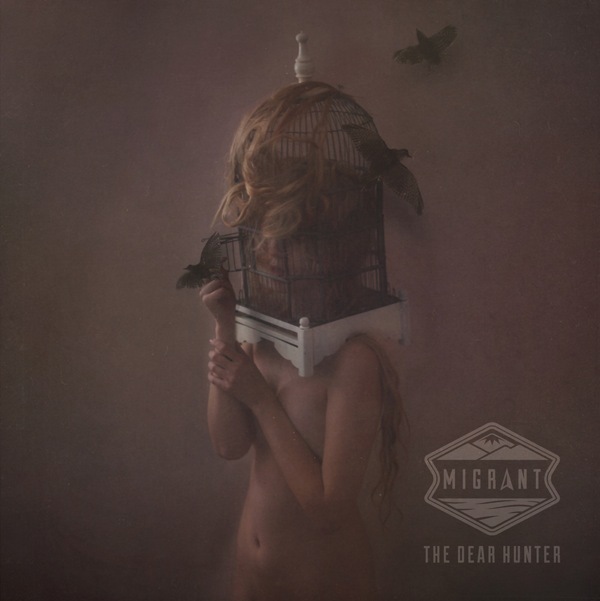 Those endeavors must have unlocked something inside the man, though, because on The Dear Hunter’s forthcoming fifth album, Migrant, Crescenzo’s getting personal. This brand of soul searching was apparent on lead single “Whisper”, and it’s there again on new track “An Escape”. “All the holes I bled from / forcing everyone around my heart to leave me,” he bellows in that unmistakable falsetto. All the cacophonous, prog-rock melodies the outfit is known for remain, but it feels like we’re really hearing him for the first time. Check it out below, via Alternative Press. The band will support the album with a hefty tour – one which promises to be a treat for longtime fans. ”There are a great deal of songs we haven’t played in years,” Crescenzo says in a press release, “and a few we have never played.” (Does this mean I may finally get to hear “City Escape” live?) Things kick off in Scottsdale, AZ, on March 12th, which also happens to be the day the band’s The Color Spectrum Live DVD hits stores. Peep their complete docket shortly after the stream. Migrant is due April 2nd on Cave & Canary Goods, Crescenzo’s own imprint within Equal Vision Records.